Can you recognize this famous horror movie? Your psychological age is 17. Your spirit animal is DOG, and your 3 most dominant traits are: athletic, confident, and courageous. Are we spot on? Let us know below. Your psychological age is 24. Your spirit animal is LION, and your 3 most dominant traits are: energetic, faithful, and perceptive. Are we spot on? Let us know below. Your psychological age is 29. Your spirit animal is TIGER, and your 3 most dominant traits are: playful, warm, and optimistic. Are we spot on? Let us know below. Your psychological age is 32. Your spirit animal is EAGLE, and your 3 most dominant traits are: idealistic, introverted, and adventurous. Are we spot on? Let us know below. Your psychological age is 35. Your spirit animal is DEER, and your 3 most dominant traits are: balanced, caring, and humble. Are we spot on? Let us know below. Your psychological age is 42. Your spirit animal is DOLPHIN, and your 3 most dominant traits are: good-natured, humorous, and loyal. Are we spot on? Let us know below. 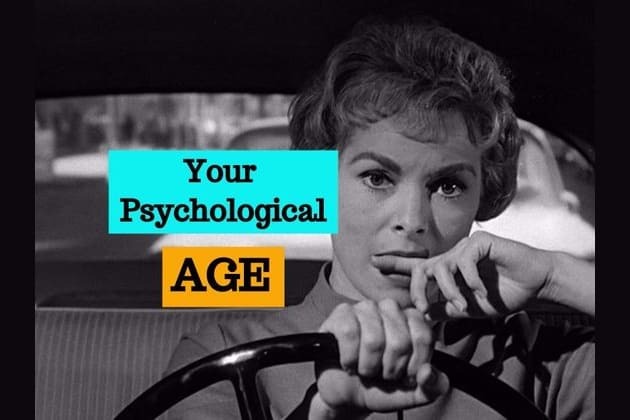 Your psychological age is 68. Your spirit animal is HORSE, and your 3 most dominant traits are: intuitive, mature, and principled. Are we spot on? Let us know below. Your psychological age is 97. Your spirit animal is BEAR, and your 3 most dominant traits are: sensitive, respectful, and wise. Are we spot on? Let us know below. Psychologically speaking, are you 18 or 81?